Goals: Design a novel way to recommend and discover wines, which would not require prior knowledge of wine. Solution: iPhone application for user-centric wine recommendation, exploration and shopping. 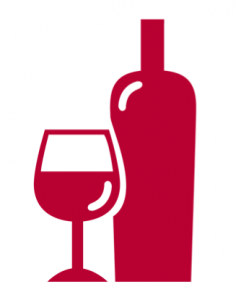 It features the tailored quiz for taste learning in order to discover wines a user might like. It also includes knowledge quizzes for teaching users wine-related concepts and a reward system for motivating users buying more wines and continuing using the application. Wine recommendation is a default feature of multiple websites and applications selling wine. It usually asks the user to input their favorite bottles or give ratings to different wines, and then makes a recommendation based upon this information. However, it can be tedious for users, especially for those with little knowledge about wine. We wanted to design a new way of selling and presenting wine to customers, the way that would not require prior knowledge about wine and would be engaging for users. This resulted in the application called La Caveauté. It recommends wine to users based on the simple quiz about their taste preferences, such as for coffee, breakfast, juices, etc. The user answers to the multiple-choice questions, and the app adds the related tags to the user profile. The algorithm then recommends a wine based on those tags. In addition to the taste quiz and recommending wine, the application provides the full user experience for wine exploration, learning oenology and selecting the most appropriate wine for the moment. The design went through multiple iterations based on the collected user feedback.